Click the button below to add the Paw Patrol Birthday Candles to your wish list. Large W 8cm x H 5cm. 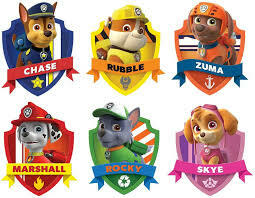 PAW Patrol The series focuses on a boy named Ryder who leads a pack of search and rescue dogs known as the paw partol. They work together on missions to protect the shoreside community of Adventure Bay.